Discount Tire is having a 100$ off 400, any brand ! Save now, thank me later :-) - Miata Turbo Forum - Boost cars, acquire cats. Last edited by joyrider; 03-22-2014 at 04:55 PM. Careful with these coupons, tire prices will go up a little bit, and swallow these savings right up. 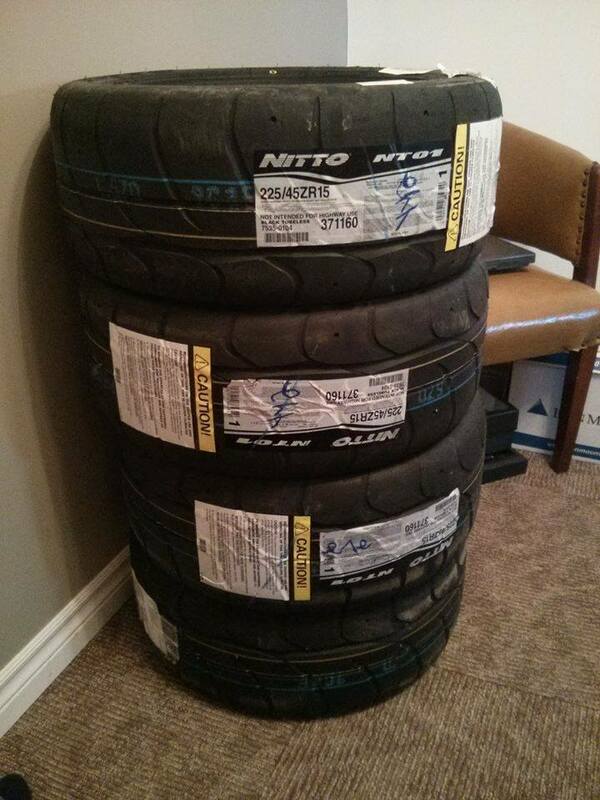 For instance, if you go to onlinetires.com, a set of Neo Gens (my current tire) is $275 for four. If you used the above link to buy two sets (in order to get above $400), subtract your $100 savings, and then divide by two to get a price per set, you're at...$274. Granted you get free shipping which is great, but that's really all I'd count this coupon for, not necessarily $25 off each tire. can i see the price with coupon before i commit to buy? they have the tires i want, and they are on a $70 rebate currently. edit: okay yeah you can, says you must use paypal only. hmmmmm. they sell what I want for $592 shipped, TR is $580 shipped. With the coupon code, that's down to $492, and with the rebate it's $422. I'd rather spend $422 total on tires that are $3 more each, than $510 from TR without the discount. Last edited by Braineack; 03-13-2014 at 02:51 PM. On Ebay from the link : 624$ -100 per set and free shipping. I just used it to get some new summer tires for the subaru. Saved a lot. Thanks joyrider. would you get the $70 off or the video camera? I never heard of that one but it looks cool as an alternate to the $70. DWS is on all of our cars and most people at work. Ordered some DWS for my WRX. Just received these from Discount Tire. IDK how it is where you guys are, but the local bricks-n-mortar Discount Tire (aka America's Tire) Stores will match the online pricing from their internet ("Direct") counterpart. They don't always do it willingly, but they usually will honor whatever prices you see online. This became apparent when I called to ask them to be the tire store to receive my online order (which I was just about to place, pending their attitude) for installation. Instead, they offered to match it, juggling pricing around a bit to compensate for tax vs. shipping costs. All in all, it turned out a wash as I recall. I thought TR had the exclusive on Rivals. I've never seen them available anywhere else. That would make much more sense as I can't find them anywhere else either. I've got a set of NT01s already, anyone know when this deal expires? Props for the thread either way. they match limited time coupon codes? You can order Rivals and whatnot through Discount Tire, basically they eat the shipping cost and you pay tax. I would certainly give them a try. A few years ago, I won a forum raffle for a $100 discount card from the 'Direct' store (only) and the local store matched it close enough that I didn't bother to use it at the time. I eventually ended up using it later for tires on my relative's car (at a remote location), just to get rid of it. When calling different stores locally, I did find the reception for the idea was mixed. Some were obviously much more willing (hungrier) than others. DO you know this for a fact? That would be awesome, but it would also be the first time I've heard of it. The invoice in my bag and the fact that I picked them up yesterday is pointing towards "yes".